Habitat loss is caused by urbanization, tree farms, roads, fire suppression, and the conversion of wetlands. Support local politicians and agencies that consider wildlife and the environment in their decisions about development to try to reduce habitat loss. Changes in rainfall amounts and timing may impact when frogs breed and how diseases respond. Reduce your individual carbon footprint. Support policies and decision-makers taking action to reduce greenhouse gas emissions and help wildlife adapt to changes we’re already seeing. Major die offs have occurred because of an emerging disease that is not yet described. There are less than 250 individuals left in the wild. Sandy long-leaf pine forests with ephemeral (temporary) wetlands and hiding places like animal burrows and tree stumps. This species used to be found in the southern portions of Alabama, Mississippi, and Louisiana, but is now limited to two populations in Mississippi. Adults gather at shallow temporary ponds during the winter months to breed. Eggs are deposited on vegetation or other suitable locations within the pond. It can take 3-6 months for tadpoles to develop and metamorphose. Adults are typically found in surrounding upland forest habitat, and use burrows and stumps for shelter. Historically gopher tortoise burrows were believed to be important habitat for this species. 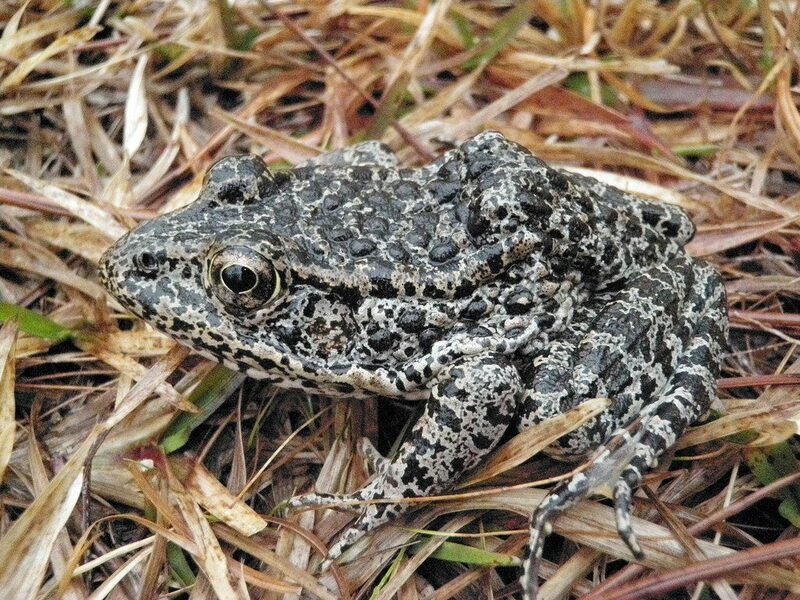 Dusky Gopher Frogs sometimes cover their eyes with their hands when they feel threatened.